Leonardo Padura Fuentes Eppur si muove en Cuba. Elizabeth Dore Historia oral y vida cotidiana en Cuba. Juan Antonio Blanco Cuba en el siglo XXI. Escenarios actuales, cambios inevitables, futuros posibles. Haroldo Dilla Alfonso Las encrucijadas de la política migratoria cubana. Juan Triana Cordoví Cuba: ¿de la «actualización» del modelo económico al desarrollo? Alejandro de la Fuente «Tengo una raza oscura y discriminada». El movimiento afrocubano: hacia un programa consensuado. Velia Cecilia Bobes Diáspora, ciudadanía y contactos transnacionales. Samuel Farber La Iglesia y la izquierda crítica en Cuba. Carlos Alzugaray Las (inexistentes) relaciones Cuba-Estados Unidos en tiempos de cambio. Pedro Juan Gutiérrez Poesía visual. In my previous post, I mentioned that there had been a lot of significant activity over the past year in Cuba's emergent blogosphere. Here, I will give a brief chronicle of what I see as the most important developments. Readers are encouraged to comment with other important things I may have missed. [Note: This is going up now in beta, and I will add in all the hyperlinks later]. Let me begin by giving a big shout out and welcome back to Elaine Díaz and her blog La polémica digital, who - after bidding us all farewell in her "último post" over the summer - returned to blogolandia just yesterday with a new entry, "Israel Rojas cantará por ti," showing her in top form and ready to engage with her readers once again. Happily, her readers are back and have already generated more than 40 comments in less than 24 hours. Her return to the blogosphere seems motivated in part by the increasingly loud protestations from members and supporters of the "closed for repairs?" blog of La Joven Cuba at the University of Matanzas. As I first reported here back in June, the guys at LJC took an extended summer vacation in July and August, insisting that: "aquí estamos y estaremos." By mid-September this indeed seemed to be the case as they were blogging in full force once again by then. However, LJC went silent again in October posting just twice that month (neither post was written by the bloggers themselves) and not at all in November. Early November did see a post provocatively entitled, Soy contrarevolucionario?, by Alejandro Cruz at the blog, Cubano Primer Plano, that wondered aloud what had happened to them. December - in contrast - has seen an outpouring of posts (mostly at other sites, such as here, here, here, and here) making clear that their "temporary vacation" was not voluntary and that they are fighting to go live once again. 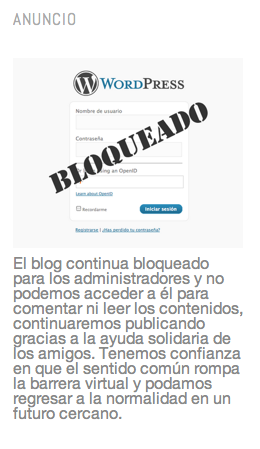 "The blog continues blocked for the administrators and we can't access it to comment or read it. We'll continue publishing thanks to the solidarity of our friends. We have confidence that common sense will break the virtual barrier and that we'll be able to return to normal in the near future." I do hope to welcome them back to blogging once again soon, especially given that - while clearly from WITHIN the revolution - they had become more critical of errors and broken promises, attracted a wide readership, and allowed for a lively and open debate in their comments section. b) rely on a government institution for their Internet access. "Things must be going pretty bad for the Cuban government if it has to pressure even its younger defenders to give up their efforts on the Internet. Now that it seems that Raulism can’t even put up with its 'independent defenders' in a medium such as the Internet —with very low impact on Cuban public opinion— it seems logical to speculate on who will be the next pro-government blogger to 'say farewell'." 1) First, there was the April "Blogazo por Cuba," hosted by La Joven Cuba at the University of Matanzas, otherwise known under the unfortunate title "Encuentro de Blogueros Cubanos en Revolución." Importantly, this event was attended by and Tweeted about by none other than Mariela Castro (see here and here for some of her Tweets). 2) This was followed by a fascinating, heated debate over the seemingly exclusive, "by invitation only" nature of the gathering. As helpfully summarized (and translated) by Ellery Biddle at Global Voices, the most important posts in this debate are the event's final declaration, an eloquent response to the meeting by members of the Observatorio Crítico (actually written beforehand), as well as the criticisms from Elaine Díaz (who declined an invitation to attend) and Yasmín Machado (who was not invited at all). 3) This was in turn followed by LJC's later critical posts about Raúl's reforms and about the newspaper Granma. There were also the previously mentioned pair of LJC posts in June, first saying goodbye and then saying that they weren't going anywhere. 4) The #BlogazoxCuba event can be contrasted with the 3-day June "Festival CLIC" hosted by Estado de SATS and co-sponsored by the Voces Cubanas Blogger Academy and the Spanish EBE blogging collective. Havana Times blogger Alfredo Fernández summarizes CLIC here, and some of the debate that that three-day gathering generated can be read here and here. 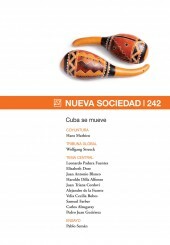 While the portal Havana Times had no formal participation in the event, it was accused of imperial scheming by CubaDebate, with responses from HT editor Circles Robinson and Dmitry Prieto. 5) Unfortunately, the portal Bloggers Cuba has gone dark and as previously mentioned, Elaine Díaz decided to call it quits in order to "dedicate her time to research and teaching..." Still, individual bloggers associated with BC, such as Yasmín Machado, her husband Rogelio Díaz, as well as Sandra Alvarez (Negra Cubana tenía que ser), have continued to blog quite intensively, and in the case of Yasmín and Rogelio, critically. Similarly, the blog portal of Observatoiro Crítico has become more active, as has what seems to be a new and more pro-regime site called Cubano Primer Plano. It is noteworthy that - without mentioning the temporarily jailed Antonio Rodiles by name, OC did post a brave declaration against the rise in arbitrary detentions in Cuba, signed by many of its members including Yasmín Machado. 6) In my humble opinion, the BIG NEWS of the year is that both Voces Cubanas and Havana Times have become even more bold, inclusive, vital, and active over the past year, with HT hosting an always broader and more critically engaged array of voices, including translations of great articles by Samuel Farber, Fernando Ravsberg, and Haroldo Dilla, as well as a trailblazing series of interviews conducted by Yusimi Rodríguez of people like Dimas Castellanos and Miriam Celaya, and others by Dmitry Prieto. "We are a web site that receives financing from no government, protection from no institution, advice from no expert, and orientations from no political party." "Somos un sitio web que no recibe financiamiento de ningún gobierno, protección de ninguna institución, asesoramiento de ningún experto ni orientaciones de ningún partido." a) Its home portal has expanded to include an always more diverse array of bloggers (also available in translation). They have also recently produced an instructive brochure describing all these and many other activities, aimed "at working not only in the virtual world," but "in the real Cuba" as well. c) The ALT-TV series "Razones Ciudadanas" has entered a more technically advanced second season with new episodes dedicated to "Cuban Law," "The PCC Conference" in Jan 2012, "Cuban Elections," "The Legitimacy of the Cuban Government," and "Raúl's Reforms" (brochure). 8) Voces Cubanas has also done pioneering work - under the leadership of Yoani Sánchez - reaching out to support and publicize other independent civic initiatives such as the gatherings and marches of Las damas de blanco, the meetings at Estado de SATS, the public art and poetry festivals of Omni-ZonaFranca, the appearance of 1Cubano+ (just another Cuban) - the eloquent series of critical monologues produced by the once and future cyber-activist, Eliécer Avila -, and the trials, tribulations, and provocative graffiti art of El Sexto. VC even organized a voluntary civic relief effort for the victims of Hurricane Sandy, collecting supplies and sending them to Cuba's Oriente to be distributed. Sánchez has also actively reported on the systematic rise in detentions and other violations of human rights and leant her cyber-support (and given Twitter classes) to members of Cuba's various independent human rights organizations, such as Hablemos Press, La Union Patriotica, and the Cuban Commission of Human Rights and National Reconciliation. 9) 2012 has also seen a marked expansion of the use of cell phones in Cuba - as reported by Cafe Fuerte - and an increase in the numbers of Cubans who use their phones send SMS messages that magically turn into Tweets allowing users a presence on the Internet with out actually having access to the Internet. This expansion is largely due to the Twitter workshops that Sánchez has been giving from her home, resulting in a new crop of over 100 Twitter users whom you can follow yourself. 10) Finally, there was a recent session of "Ultimo Jueves" in late-November (the on-going, Temas magazine sponsored gatherings at the Fresa y Chocolate café) dedicated to "Culture, Movements, and Social Networks in the Internet." You can read a summary of the event here and reactions to it here and here. While I obviously wasn't there, I have been informed by Carlos Alzugaray - who was there - that Antonio Rodiles, recently released from jail, was present in the audience and allowed to participate by asking a question. Rodiles later confirmed this to me. *Note: I also just received a call for papers from Temas, announcing a special issue of the magazine to be published in May under the title, "What Is Information Society?" The deadline for submissions is March 15, 2013. Unfortunately, the panel invited to speak seems to have been heavily weighted toward official or semi-official voices, with almost no space for representatives from civil society. 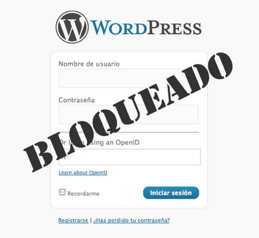 It was composed of Milena Recio, Professor of Digital Journalism; Rosa Miriam Elizalde, editor of the oficialísimo and debate-free site Cubadebate; party member, blogger, and LGBT activist, Francisco Rodríguez; Juan Fernández of the Ministry of Communications; and the blogger Iroel Sáchez, coordinator of EcuRed, Cuba's answer to Wikipedia. The panel was moderated by Rafael Hernández. Some of these panelists, such as Rodríguez (aka, "Paquito el de Cuba") and Temas editor-in-cheif Hernández, are known as advocates for greater spaces of debate ("jugando con la cadena," as they say in Cuba), but rarely if ever do they lodge systemic criticisms ("tocando el mono"). I don't know all the others, but Elizalde and Sánchez are two of the more notorious official mud-slingers and slanderers in the Cuban blogosphere. I'm not saying that they shouldn't have been included, but their inclusion without some parallel representation from one or two of the more independent groups mentioned above - VC, HT, BC, and LJC - indicates that even the most open and rigorous spaces in Cuba like Ultimo Jueves still have a long way to go before they can overcome the polarizing and intellectually stifling approach to debate that includes only those expressly "within the revolution," while systematically excluding those who stand unambiguously outside of it (which is not necessarily to say against it). While I'd love to find the time (and develop the technical know-how) to add an audio voice-over to this Prezi presentation that I put together earlier this year, I thought I'd share it here on my blog in its current "beta" version. Of course, if anyone out there knows how I can add audio to this, do share. Though the presentation not up to date and does not include the many developments in the Cuban blogosphere during 2012 (Blogazoxcuba, Festival Clic, the closure of La Polemica Digital and censorship of La Joven Cuba, and the emergence of a vigorous SMS/Twittosphere - more on all that later), it does attempt to chronicle the richness and diversity of Cuban cyber-space, as some internauts have increasingly attempted to stake out a claim to public space as well. I have written about most of the ideas in the presentation before here in English and here in Spanish. Also, It might help if you put it on auto-play and view it in fullscreen mode. You can also use the cursor to drag the screen to see parts that are skipped over. Note: After you hit "Start Prezi," you will likely have to be patient as all the images, embedded video clips, and other multi-media components load. But then you can watch it, and even export, e-mail, and embed it as you like. If nothing appears below, click HERE to see the presentation at the Prezi site itself.